BE A PART OF THE Somatic movement! Stay Current, Get Inspired and Become an Industry Leader. Stay Current on Industry Trends and Discoveries. Learn & Get CUs. Please review one of the membership levels below, select the appropriate membership level and sign up! You will receive follow up emails with member orientation info. We are so glad to have you on our member team. Members build life long friendships and networking opportunities. By purchasing a membership you agree to accept and to follow our Code of Ethics. Please click the link to review them before proceeding. Note: if you have any questions about the choices available, please contact us at info@usabp.org. Membership fees increase June 1, 2019. Affiliate Membership - $50.00 (USD) Subscription period: 1 year No automatically recurring payments Open to anyone who does not qualify for the other membership types but feel an affinity for somatic psychology and body psychotherapy techniques and wants to support the mission and goals of the USABP. Associate Membership - $75.00 (USD) Subscription period: 1 year No automatically recurring payments Open to those who have not completed a certificate program (minimum of three years in length) from a recognized somatic psychology training institute but who have either formal healthcare training, are drug and alcohol counselors or are on an associate level for therapists and social workers. Associate Somatic Membership - $75.00 (USD) Subscription period: 1 year No automatically recurring payments Open to those who have not completed a certificate program (minimum of three years in length) from a recognized somatic psychology training institute but who have otherwise qualified in body or touch-centered practices or trained in the body-movement field. 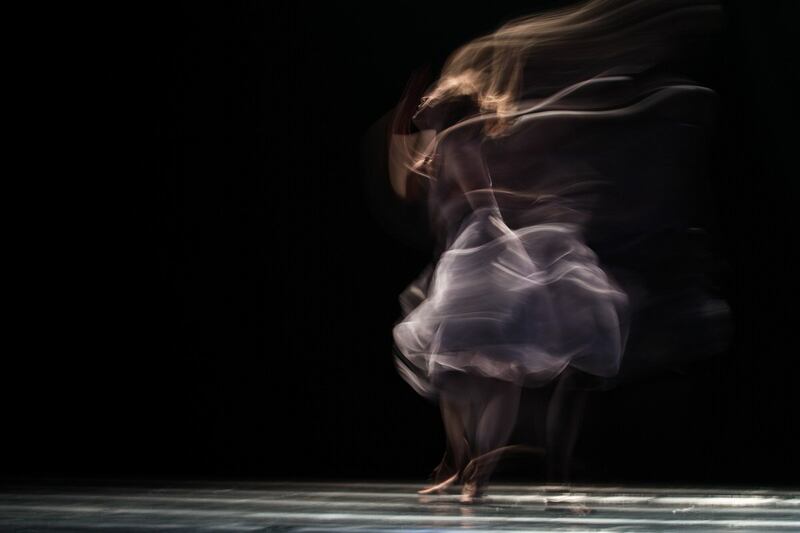 Those in the body-movement field are facilitators who have an interest in, and have an approach with clients similar to Body-Psychotherapists and Somatic Practitioners. Their approach to working with clients includes: 1. Present moment 2. Experiential, 3. Holistic, 4. propensity toward Health, and 5. Relationally. Body-movement methods may include: Drama Therapy (NADT - National Association of Drama Therapy by RDTs (Registered Drama Therapist), Martial Arts, Yoga Therapy/Yoga/Meditation, Buddhism, ISMETA/Dance Movement professionals, Creative Arts professionals, Music Therapy, Feldenkrais professionals, Rolfing/Structural Integration, Massage Therapy, Hypnosis and Occupational Therapy/Physical Therapy. Clinical & Somatic Practitioner Membership - $100.00 (USD) Subscription period: 1 year No automatically recurring payments Open to anyone who has BOTH a license to practice psychotherapy AND one of the following: either a certification from a recognized somatic psychology training institute (minimum of three years in length) or a graduate-level degree from an accredited and recognized somatic psychology program. *Note: You will be asked to submit a photocopy of your license and certificate/degree when you sign up for this membership level. Once this is verified we can list you in our Clinician Directory where prospective clients will be able to find your practice. Clinical Membership - $100.00 (USD) Subscription period: 1 year No automatically recurring payments Open to those who have a license to practice psychotherapy, but do not have a certification from a recognized somatic psychology training institute or a graduate-level degree from an accredited and recognized somatic psychology program. They may or may not have training in body or touch-centered practices or from the body-movement field. Junior Institution Membership - $500.00 (USD) Subscription period: 1 year No automatically recurring payments Open to organizations that offer an organized training curriculum at least 3 years in length. Must have been in existence for at least 5 years and founders must have completed a training or degree program from at least one Senior Institution. Practitioner Membership - $100.00 (USD) Subscription period: 1 year No automatically recurring payments Open to anyone who does not have a license but who has completed a formal certification program (minimum of three years in length) from a recognized somatic psychology training institute. Senior Institution Membership - $750.00 (USD) Subscription period: 1 year No automatically recurring payments Open to organizations that are either an accredited university-based somatic psychology program OR a founding institute of an established somatic-based practice, inquiry, or psychotherapy. Must have been in operation for at least 20 years. Senior Institution Membership 2-Pay - $375.00 (USD) Subscription period: Half a year No automatically recurring payments Open to organizations that are either an accredited university-based somatic psychology program OR a founding institute of an established somatic-based practice, inquiry, or psychotherapy. Must have been in operation for at least 20 years. Student Membership - $35.00 (USD) Subscription period: 1 year No automatically recurring payments Open to anyone who is currently enrolled as a full-time student in any degree-granting university. Training Resources Membership - $500.00 (USD) Subscription period: 1 year No automatically recurring payments Open to organizations that offer standalone workshops or training programs less than 3 years in length. Must have been in existence for at least 5 years and founders must have completed a training or degree program from at least one Senior Institution.